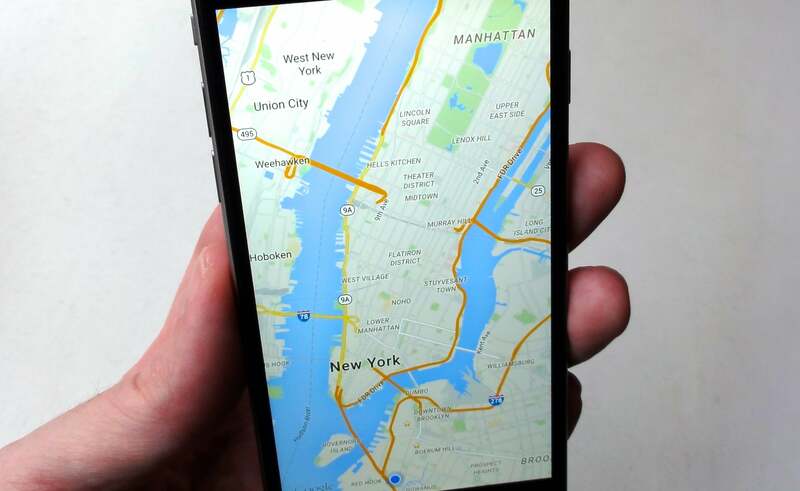 It's time to learn your way around the new Google Maps app. The old, somewhat clunky Google Maps interface has been replaced with a flatter, more modern look. Your favorite features are probably still there, but some now hide inside swipeable drawers or behind all-new menu buttons. That explains why, for example, Street View doesn’t immediately appear when you search on an address, or why typing ok maps into the Maps search bar—a command that used to save the current map for offline use—now brings up a map of Oklahoma. Never fear, though. The new Google Maps app for Android and iOS makes perfect sense once you get the hang of it, and the latest version makes it even easier to get where you’re going or see every detail in your virtual surroundings. Swipe up on the address overlay to reveal ratings, hours, Street View, and more. So, you searched on an address in Google Maps and it popped up, complete with a little window pane at the bottom of the screen with a street address and a blue “Route” button. And...now what? What about the rest of the details, and where’s Street View (the 360-degree photo panorama that you can swipe and zoom)? The answer: Swipe up on the address overlay. Doing so will reveal ratings (in the case of a restaurant, cafe or another type of retail venue), menus, hours, Street View, and more. And what if you want to switch to satellite view, or see local traffic or biking routes? Find the little three-line menu button on the left side of the search box. Tap it, and another window will slide into view—this time, one with controls for changing the style of the map, accessing Google Maps settings, switching back and forth between your various Google accounts (assuming you have more than one), and seeing a list of “Your places” (more on that in a minute). And if you find yourself gazing at Google Maps with no apparent way to go back, just tap the screen to reveal the Back button. 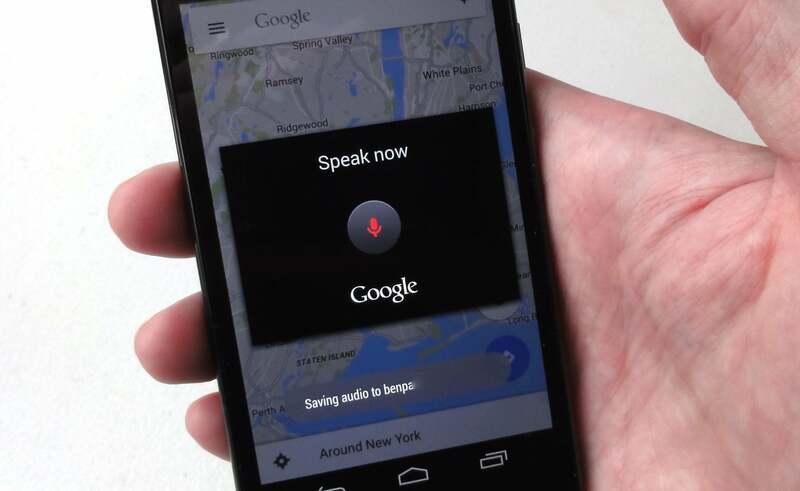 For quick directions through the Google Maps app, just speak into the microphone. Tap the little microphone in the search box and say, “directions to the Empire State Building.” Doing so will instantly bring up directions to the famous New York landmark. You don't type "ok maps" into the search box to save an offline map in the Google Maps app anymore. Instead, swipe up on the address pane and tap the three-dot menu in the top corner. 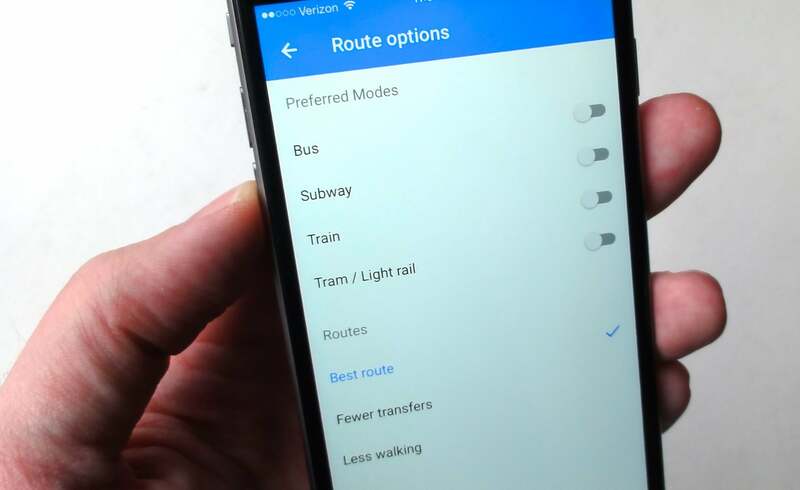 You can have a map of Boston or Paris on your Android or iPhone, even when you don’t have a wireless connection. In just a few taps, you can save a detailed map of a neighborhood or even a whole city to your handset’s memory. You won’t be able to search the map or get directions, but at least you’ll have a detailed street map—handy if you’re travelling abroad and don’t want to pony up for an international cellular plan. 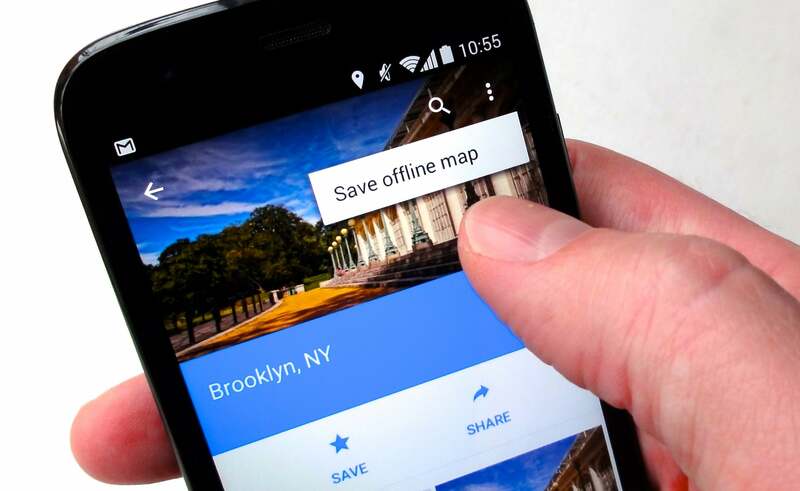 Now, offline maps won’t be anything new for longtime Google Maps users, but the method of saving a map for offline use has changed—again. Not all that long ago, the way to save an offline map was to center the area you wanted to save and then tap (or say) “ok maps” into the search box. The new way to save an offline map? Search for a location (or tap and hold to select a place on the map), tap or swipe up on the details pane at the bottom of the screen, tap the three-dot menu button in the top corner, then tap Save offline map. Google Maps will prompt you if the area you’re trying to save is too big. To access your saved maps, tap the three-line menu in the left side of the search box, tap My Places, then scroll down to the offline maps heading. 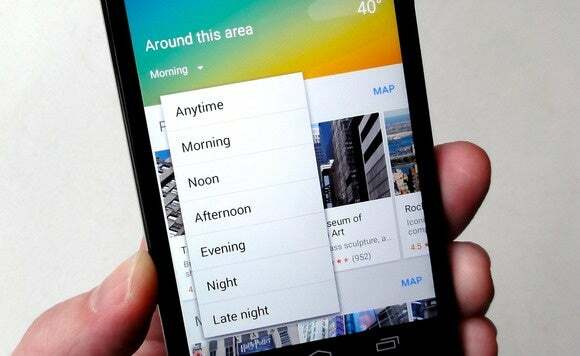 Find out where to get bagels in the morning or cocktails at night by changing the time of day on the "Around this area" screen. There’s nothing new about mapping and “exploration” apps that tell you about nearby hotspots, but getting a recommendation about the latest and greatest nightclub won’t do you much good at seven in the morning. Google Maps has a clever twist on the whole “find popular places near you” thing. Zoom in on an area, then tap the “Explore” pane at the bottom of the display. Tap the menu, then select a different time for a new set of breakfast nooks, lunchtime favorites, cocktail lounges, or anything else that might be appropriate during a given time of day. 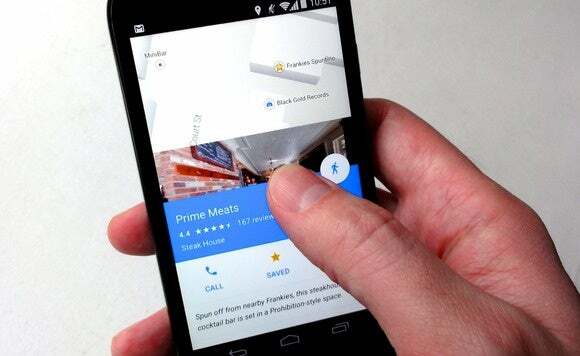 Add some depth to Google Maps by swiping down with two fingertips. Is you map view looking a little flat? Try this: Tap and hold with two fingers, then swipe up. As you do, then entire map will tilt, adding some depth to your map. The perspective will look especially dramatic in urban areas (like, say, lower Manhattan), where Google has added 3D buildings and skyscrapers. Since you’re already swiping with two fingertips, try rotating your fingertips this way and that. As you do, the entire map will twirl around. 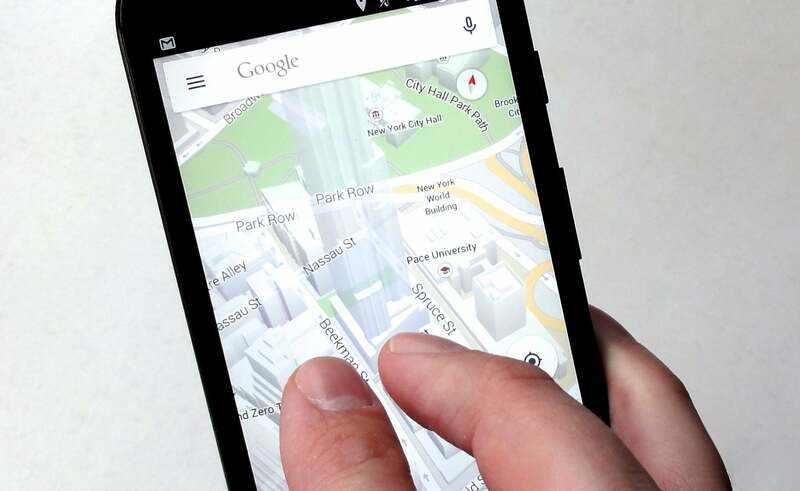 Tap on a blank area of the map for a full-screen view of Google Maps. It's easy to clear away all the overlays, search boxes and other distractions so you can gaze at your map in all its full-screen glory. Just tap on the map—once to clear the details pane at the bottom of the screen, and a second time to hide the search box. Ready to get the search box back? Tap the screen again, and it’ll slide back into place. Note: As of this writing, the full-screen Google Maps feature only works on the iOS version of the app. It’s a good bet that full-screen mode will be making its way to the Android version of Google Maps in the near future. 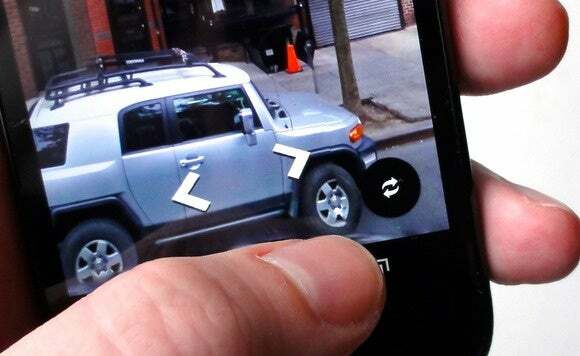 Tap the "Compass mode" button to make Street View rotate as you turn this way and that. Street View--the 360-degree panorama of streets, museums, parks, and natural landmarks around the globe--counts as one of Google Maps’s killer features. You can pull up Street View for just about anywhere from the details pane of the Google Maps app. Just swipe it up, then tap the Street View image (if available) and start swiping around. Neat, but Street View has one more trick up its sleeves. Tap the screen, then tap the little button with the curved arrows in the bottom corner of the screen. Doing so activates “Compass mode,” which automatically turns and rotates Street View according to the orientation of your phone. In other words, if you hold your phone in front of you and slowly start turning around, Street View will turn with you. Note: Don’t see the “Compass mode” button in Street View? Tap the screen once to make it appear. Tell Google Maps your transportation preference--subway? Bus? Walking?--and it will adjust its navigation guidance accordingly. Pulling up driving, walking, biking or public-transit directions to any location in Google Maps is easy. Just search or tap and hold on a location in the map, then tap the circular blue button in the details pane at the bottom of the page. Not bad, but in addition to picking where and which way you’d like to go, you can also tell Google Maps your preferences for how you want to travel—for example, whether you prefer buses to subways (in the case of public transit), or whether you’d prefer to avoid toll routes (if you’re behind the wheel). Just pull up a set of directions, then tap Options. When you do, you’ll get a choice of preferences depending on your mode of transportation.